The Institute of Economic Affairs (IEA) has been accused of “pumping seemingly paid-for propaganda” on tobacco, oil and tax havens into schools. An analysis by openDemocracy found that its free magazine distributed to tens of thousands of A-Level students carried articles arguing against tobacco taxes and climate change science, and in favour of NHS privatisation. The magazine does not tell readers who funds the IEA. The IEA, a registered educational charity, sends copies of the magazine, EA, free of charge to every school teaching A-Level economics or business studies in the UK. The influential ‘think tank’ does not disclose its funding but it has received money from British American Tobacco, oil giant BP, Jersey Finance, gambling lobbyists and right wing US foundations pushing to privatise the NHS. While articles on many of these topics have appeared in the IEA’s schools magazine, it does not disclose these financial links. Labour shadow cabinet office minister, Jon Trickett MP, said: “It is a debasement of both politics and education when an organisation, posing as a charity, pumps seemingly paid-for propaganda into our schools. Tamasin Cave from Spinwatch, which investigates the PR and lobbying industry, said: “We are now awake to the fact that the IEA is not an independent think tank. It is a lobby group for private interests. Most are secret, but we know it is funded by oil giants, the tobacco industry and a tax haven. When asked how the magazine was funded, the IEA would only say that it covered the costs of the 47,000 copies sent to students every year. It denies that its editorial content is driven by its donors’ interests. Since 2013, the IEA’s magazine has featured articles arguing in favour of positions supported by groups that have been shown to fund the right-wing think tank. The spring 2014 edition includes an article arguing against “sin taxes”, including those on cigarettes and alcohol. 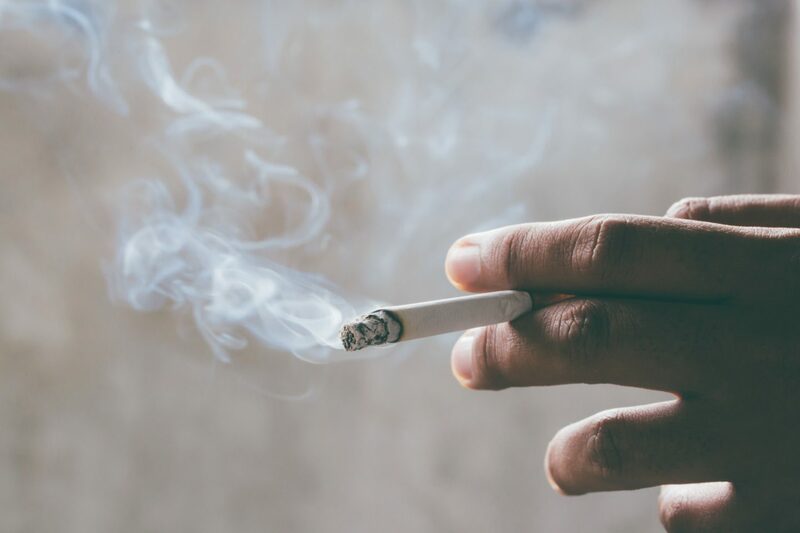 In the late 1990s, while he was funded by the tobacco industry, Bate argued against the science which shows that exposure to tobacco causes cancer. In the words of The Ecologist, he also “midwived British climate denial”. The IEA magazine did not inform its student readers that the overwhelming majority of climate scientists believe that evidence of harm is proven. It did not say that Bate’s employer, the American Enterprise Institute, has long been funded by ExxonMobil, nor that IEA is funded by BP. Articles written by IEA staffer, Kristian Niemietz, in several editions advocate privatisation of the NHS. But the magazine does not mention that in 2014, the think tank received a grant of $155,000 from the US-based Templeton Foundation to “seek alternatives” to “public, pay-as-you-go financed systems of pensions, disability insurance, healthcare and long-term care”. The grant was also to help promote privatisation of each of these areas, according to the Templeton Foundation’s website. Niemietz was one of two project leaders for the grant. An autumn 2016 piece in the magazine’s Idealog section was labelled as a “defence of tax havens”. The IEA has long promoted tax havens, and does not disclose how this work is funded. However Jersey Finance, which promotes Jersey as a financial centre, paid for an IEA report published in June this year that attacked the idea that offshore financial centres were “hotbeds of tax evasion”. In 2015, before the European Union referendum, EA carried a double-page spread by economist, Patrick Minford, entitled ‘Why Britain should leave the EU’. The piece concluded that the case for Brexit was “overwhelming”. Minford’s modelling has since been described as “inconsistent with the basic facts of international trade” by fellow economists. The magazine did not carry any article in favour of remaining in the EU before the referendum. The IEA has become a popular think tank for many Brexiters, publishing papers arguing that Britain would benefit from leaving the customs union and single market. In July, the Charity Commission announced that it was investigating the IEA after an undercover sting by The Guardian and Greenpeace revealed the identity of a number of the IEA’s funders. The investigation also disclosed that senior staff had offered potential US donors access to government ministers and civil servants in order to fund its work on post-Brexit trade deals. The IEA was recently named in court papers as one of a number of “linked” right-wing think tanks which work closely together and operate out of offices a few metres from each other in Westminster. Other groups include the TaxPayers’ Alliance, Civitas, the Adam Smith Institute, Leave Means Leave, the Global Warming Policy Foundation, Brexit Central, and the Centre for Policy Studies. In November, shadow chancellor John McDonnell told The Guardian that these groups were lobbyists, not think tanks, and called on the BBC to reflect that when introducing their spokespeople. The IEA, founded in 1955 by Anthony Fisher, describes itself as the “UK’s original free market think tank”. It has the charitable object of “the promotion and advancement of learning by research into economic and political science and by educating the public therein”, according to its entry on the Charity Commission’s online register. IEA representatives regularly appear in the news media, and the think tank has strong links with a number of senior Conservative figures, including Matt Hancock and Dominic Raab. Raab, the former Brexit secretary, credits the IEA with supporting a book he co-authored with Tory MPs, Britannia Unchained, that described British workers as “among the worst idlers”. The IEA regularly receives the lowest rating for transparency from campaign group Who Funds You. The American Friends of the IEA, a US entity set up to allow US-based corporations and individuals to donate to the institute, raised at least $1.69m in the past decade, according to recent analysis by The Guardian. As well as publishing the magazine, IEA research staff tour the UK visiting schools, hosting 20 conferences in the past financial year. Many of these conferences follow similar themes to the magazine. In February, lower-sixth economics students in Portsmouth listened to talks that included a discussion on “why the minimum wage may not necessarily help those it is intended to”. Another conference looked at “whether there really is sexist prejudice in businesses or whether campaigns manipulated stats for their benefit”. IEA director Littlewood said: “The talks given by the IEA provide an analysis of factual evidence and data. “Furthermore, the teachings of free-market economics almost always relates to topical or politically charged issues of the day. So does any lesson in any school about history: the political history of the UK, the advent of female suffrage, the founding of the National Health Service, the destruction of South African apartheid by Nelson Mandela and the ANC, and an endless list of other issues. Responding to questions about the funding of the EA magazine, a spokesperson for the IEA said: “The institute’s editorial and policy output – in both our reports and our educational material – is decided by its research team and Academic Advisory Council only. Any funding we receive does not, under any circumstances, influence the focus or conclusions of our research. This story was published in Open Democracy on 28 November 2018.